This great idea from my client at Freeflow and Fantasy Spas – made in Calif. by Watkins Manufacturing in Vista. For #BreastCancerAwarenessMonth, they’ve turned their hot tubs PINK! to turn up the heat on breast cancer! And their retail partners around the US are sponsoring PINK PARTIES. I love this campaign. Check it out here in the news release we sent today. 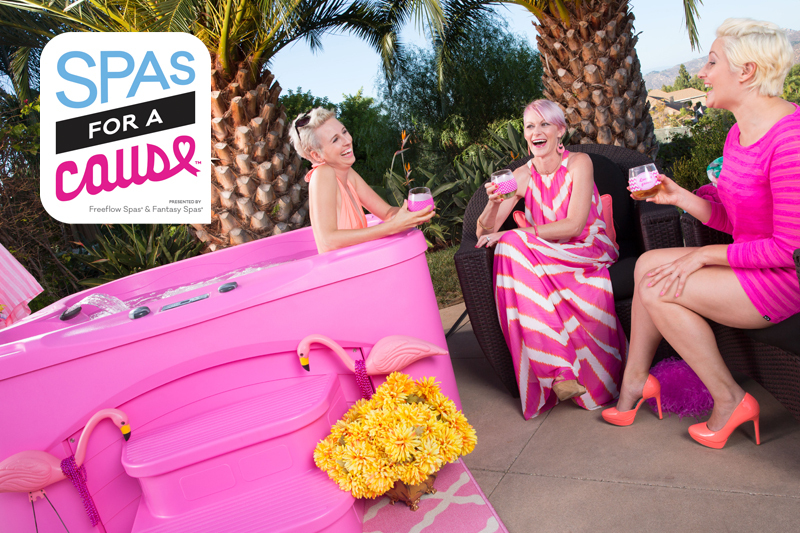 News Release Check out the marketing too – They created Spas for a Cause as the “brand” for the Campaign; a logo; Twitter Account @Spas4ACause and a Facebook page, and a video, all to coordinate a maximized reach. If you like this, go ahead and Like their FB page, follow them on Twitter, and help us gain some interest from MM media. Posted in aquatic health, Marketing, Public Relations and tagged aquatic health, Creative, marketing, public relations.